Years of waiting and I FINALLY have access to a record player and now I can’t find the flippin’ record. I found several of my Christmas records… but not this one that includes the one totally absurd Christmas song that I remember from my childhood. 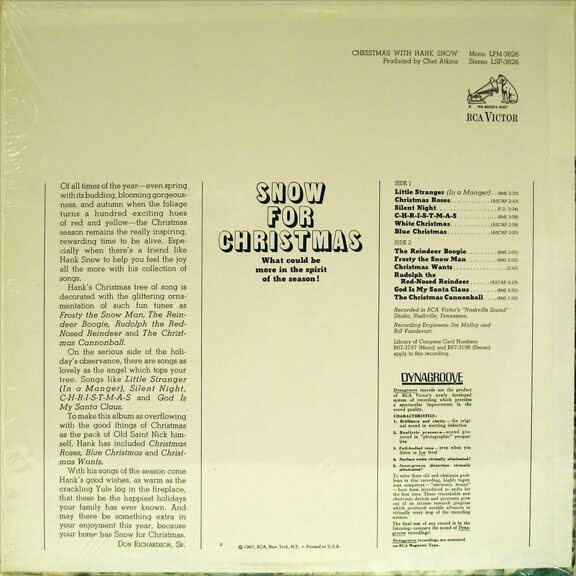 : Hank Snow’s The Christmas Cannonball. This song– for whatever reason– is wrapped right up in my childhood memories with Rudolph claymation and spray-can snow. I remember my mom pulling out the Christmas records every year right before we started decorating for Christmas. We would dance and sing along while we decorated the house with all of the familiar decorations and dolly up our old Christmas tree that mom got for a quarter at a yard sale. While that tree and many of the other Christmas decorations have long been retired, I have always wanted to continue our Christmas record tradition. Pardon me while I take a stroll down memory lane… Childhood’s callin’. Here is mom with me on the left and with Lou on the right. Sure, she looks cute… but she bites. First Christmas with Puddie– what on earth is wrong with my face!?!? I kid you not… The Christmas Cannonball JUST started playing… gotta go! Isn't it amazing how a simple song can take us back in time? I love listening to the old Christmas songs. I've got a CD made from some old tapes we had of Chrismtas music. One of my favorites is a silly, irish sounding "I Just Go Nuts at Christmas". The song is hilarous and I can remember my dad singing along in his fake irish accent…We're putting our tree up this coming weekend. Enjoy! Yay for Christmas decorating before Thanksgiving and awesome Christmas memories old and new!